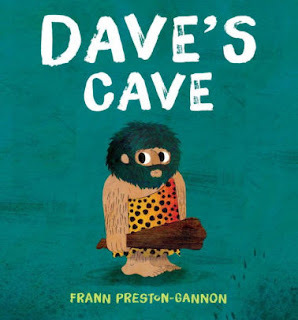 Preston- Gannon, Frann Dave’s Cave. PICTURE BOOK. Candlewick Press, 2018. $15.99. Content: G.
Dave loves his cave. But… maybe there is something a little better with greener grass and bigger rocks. Dave goes on a hunt for a new cave. Each possibility has something wrong with it. The new caves are either too noisy, not cozy, or have pets that don’t like Dave. The more he hunts for a new home, the less successful he is. Finally Dave finds the PERFECT cave! Children will thrill to realize that it’s the first cave Dave lived in. This could be a great springboard for discussion about being content with what we have. The story is told in caveman-type language. “Dave like cave. This cave perfect.” The illustrations are unique and fun. Children will love this great book. Pre-K. EL (K-3). ESSENTIAL. Reviewer: SL. Fleming, Candace Bulldozer’s Big Day. Illustrated by Eric Rohmann. PICTURE BOOK. Antheum Books for Young Readers, 2015. $17.99. Content: G.
It’s Bulldozer’s birthday and he is very excited to celebrate. When he gets to the job site and sees each of his friends he asks, “Guess what today is!” Then each construction vehicle teases Bulldozer by stating that “today is scooping day. 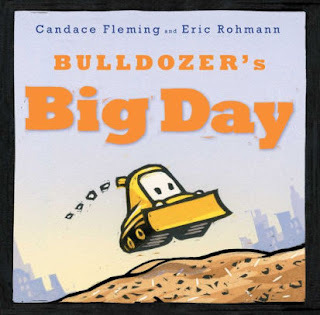 Scooping…scooping…scooping.” After Dump Truck, Cement Mixer, and all other construction site friends join in the surprise, Bulldoze feels like everyone has forgotten his birthday. When the work day is over the friends gather together to give Bulldozer a huge surprise party! This is a cute book that little ones will enjoy reading. This book is an informative book listing each construction site vehicle and the jobs and sounds they make. The illustrations are great! Pre-K. EL (K-3). ADVISABLE. Reviewer: SL. Newquist, HP The Human Body:The Story of How We Protect, Repair, and Make Ourselves Stronger. NON-FICTION. Penguin Young Readers Group, 2015. $18.99. Content: G.
This book is a great informational book that explores our body parts: eyes, ears, teeth, heart, blood and limbs. The book discusses different helps such as soap, aspirin, and antibiotics. The book ends with “tools and treatments” such as surgery, microscopes, stethoscopes, x-rays and vaccines. 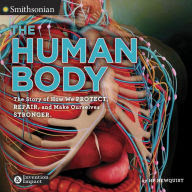 This book has great visual images from the Smithsonian and introduces young readers to a whole new way of looking at the human body. This is a great informational book. EL (K-3). ADVISABLE. Reviewer: SL. McKee, David Elmer and the Whales. PICTURE BOOK. Lerner Publishing Group, 2014. $16.95. Content: G.
Elmer and his cousin Wilbur visited Grandpa Eldo. “When I was your age,” said Grandpa Eldo, “at this time of year, I used to follow the river down to the coast and watch the whales go by.” Elmer and Wilmer are fascinated and decide to give it a try. Different animal friends help them and laugh at them as they journey down the river. But exhaustion gets the best of them and Elmer and Wilbur end up falling asleep. Where do they end up? Will they get to see the whales like their grandfather did? And will they find their way back home? 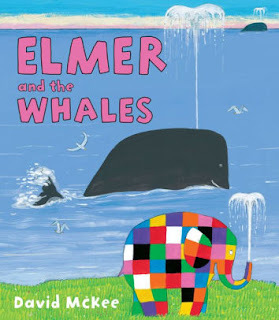 Read Elmer and Wilbur’s adventure in this fun picture book by David McKee. We loved the illustrations but thought the story was a little slow. Pre-K. EL (K-3). OPTIONAL. Reviewer: SL. Life is dependent on lots of factors out of anyone’s control—for example, being born in the territory of the E Street Locals gang, having a chronically depressed mother, or having black skin. Rasheed is smarter than his skin makes him look, and he yearns for a life like the ones in the old TV shows he watches. Unfortunately, the white cops and black gang members don’t care about what Rasheed wants; they do what they want and make everyone else bend to their wills. Jumped In is a quick read, and Rasheed is a likable character. However, Rasheed’s story does not develop very much in the hundred pages, and two conflicts are barely created before they have to start being resolved. Furthermore, I feel like the conflict with the gang members and cops was presented as the central conflict, but that was confusing when the main conflict was internal as Rasheed tried to figure out what he wanted to do with his life. Alicia is the girl who seems so perfect that you can’t help but love her and hate that you love her—she plays the violin with prodigy-level skill, gets good grades, is great with kids, and somehow finds free time to be social. And then she disappears. 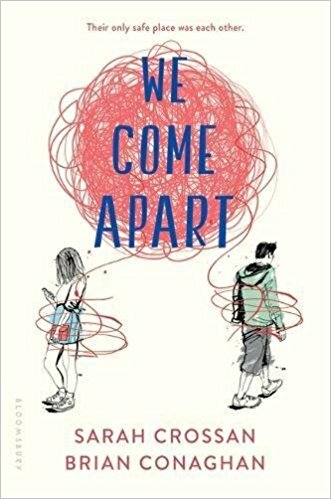 Riley is approached by the lead suspect to help prove her innocence, and, against all odds, this leads Riley to uncover how much goes on under the surface of her high school. Though technically the third in a series, Out of Tune can stand alone, as books in the Nancy Drew and Trixie Belden series. This is a standard mystery with good action, multiple possible suspects, and an impossible situation that the kid detective is able to figure out before the adults and professionals. 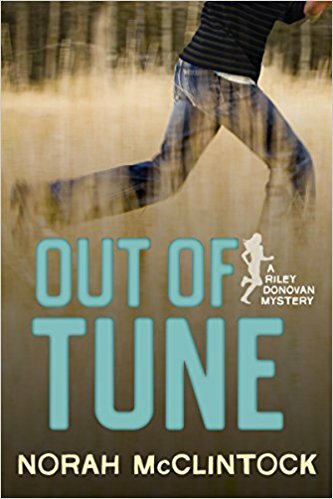 Overall, I enjoyed the read because it is a new mystery to solve, but there is nothing especially amazing about Out of Tune that can’t be said for other mystery novels. Magia is a little woodcutter in training. Each day, she goes out with her father to help cut wood and deliver it to the townsfolk. Martin is a wolf who loves books and words. He is more comfortable around books and is, against the standard for wolves, curious about the humans. 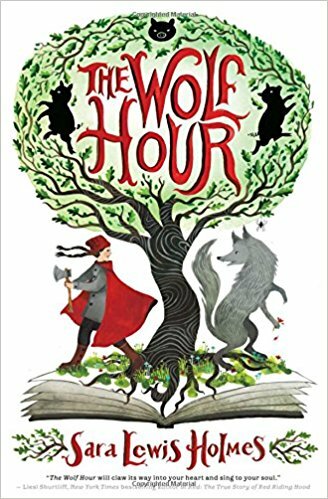 When Magia makes a minor mistake that leads to huge problems, the girl and the wolf are thrust together into one story. Can the two right the wrong, or will their story be lost forever? This book was really good. 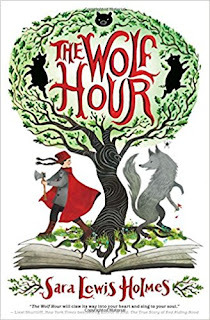 It was fun to see two classic stories twist and turn as this new fairy tale unfolds. Mature Content is PG because the book talks about deals in order to pay back a debt and save lives. Violence is PG because it mentions the killings of wolves and there is some description of a bloody wolf body. 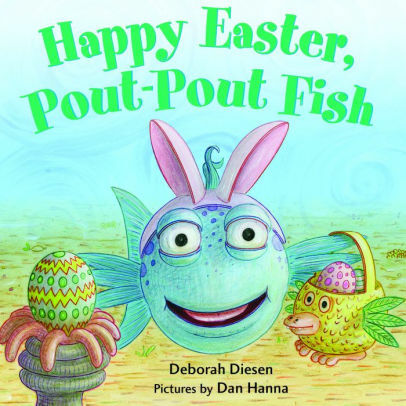 Diesen, Deborah Happy Easter, Pout-Pout Fish. Illustrated by Dan Hanna. BOARD BOOK. Farrar Straus Giroux Books for Young Readers, 2017. $5.99. Content: G.
There is an Easter egg hunt deep in the blue sea. 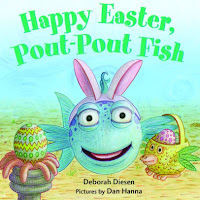 The fish and sea creatures swim along the pages looking for hidden Easter eggs. Little readers will delight in the simple story and the simple challenge of finding hidden eggs on the pages of this cute board book. The illustrations are detailed and fun. The text is simple and enjoyable. Jones, Patrick, Teen Incarceration: From Cell Bars to Ankle Bracelets. Pgs. 120. erner Publishing, 2017. $37.32. INFORMATION. 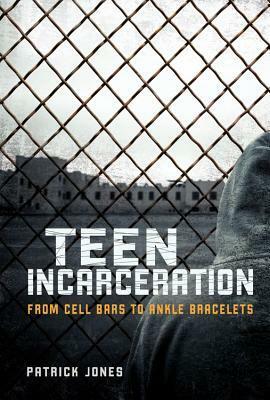 In the United States, the handling of juvenile offender has gone from one extreme to another. For centuries, it was legal to execute minors. Now day, based off of neuroscience, juvenile justice has move more towards alternative forms of punishment like restorative justice models. In this book. 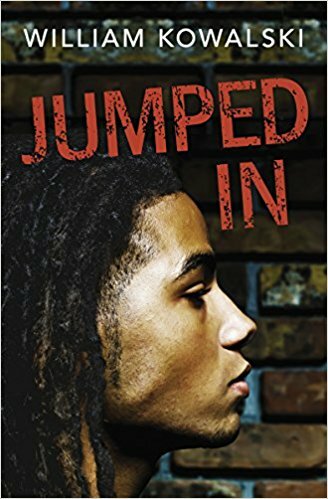 The author explores the history of juvenile justice, how former incarcerees have changed as a result, and a look at what life is like behind bars. The layout is well-done, the information is eye-opening and helpful. Included are primary sources like photographs, quotes, and studies that shed light on the school to prison pipeline amongst a few other things. Although the information isn’t that objective, the evidence used to back up the author’s claims is diverse and would be helpful for those doing argumentative essays or who need to research a current issue. Included are source notes, sources for further information, glossary, and an index for sue with common core standards. MS, HS. ADVISABLE. Reviewer: Jessica M, Library Media Specialist, Olympus Jr. High. Hague, Bradley, Rise of the Lioness. Pgs. 56. National Geographic, 2016. $18.99. INFORMATION. In Western Zambia, the habitat is perfect for wildebeasts, zebras, and lions. Poaching and war, however, have damager the wilderness and reduce the lion population. How can people make a difference? How have these lions adapted? 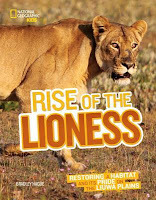 A story of survival, the author takes a look at the ecosystem, the history of the issue, as well as the rebuilding of it, tracking of animals, and the reintroduction of animals into the ecosystem. The layout is well done and does a great job of introducing the plight of the lions. The primary sources include photographs, stories, and more. Included are an afterward, a glossary, and an index. Readers interested in lions, animal, and the wild will enjoy reading this book. MS. OPTIONAL. Reviewer: Jessica M, Library Media Specialist, Olympus Jr. High. These 25 true stories are meant to inspire youth (especially young girls, but boys as well) to believe that they can accomplish remarkable things. Most of the women role models described are women that I had never heard of before, and, of the few that I knew, I learned that I did not know as much about them as I had thought. 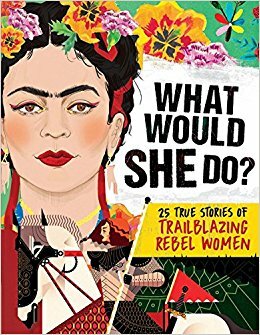 Each section is short, which gives each reader a nice taste of who each woman is with encouragement to learn more about the women that inspire each individual reader. After reading these about these amazing women, I only hope that I can be just as amazing in my own sphere of influence. On another note, Woodward writes with a strong feminist lens and with casual language, which I found amusing in some instances and annoying in other instances. The eight illustrators also made the portraits for each women. 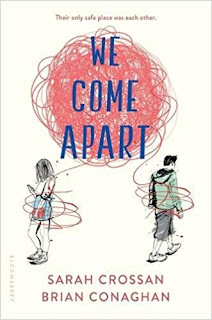 Crossan, Sarah and Brian Conaghan We Come Apart, 312 pgs. Bloomsbury, 2017. Jess wants to be free of the abusive home she lives in. Nicu wants a fresh start and a new life where he isn’t defined by being a Romanian gypsy. Separate, they feel trapped; together, they find hope. Crossan and Conaghan tell this story in poem format, and they do the best job at it that I have ever read. Most poem-based novels try to tell the story traditionally, just with more empty space on each page. I feel like the format of poems adds to the story of Jess and Nicu, instead of being simply a style choice. Through the poems, readers understand Jess and Nicu better than if the story was told by a narrator, and I feel that this is especially true with Nicu. In the poems from Nicu’s point of view, readers hear his real voice, which is difficult for him to speak aloud. If not for the language, I would give this book a higher rating.